Mark excitedly exclaimed as he shook my shoulder on the bus back from Plitvice Lakes earlier on today. Glancing up from the inner workings of my iPhone, which has STILL yet to be fixed, I could see his face was brightened up, actually cracking a smile. 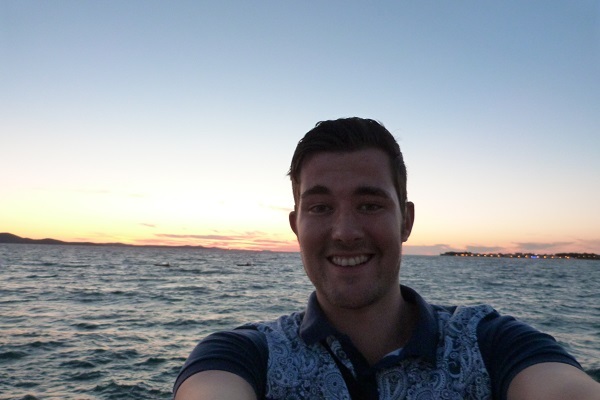 Perhaps I shouldn’t say no, perhaps the Zadar nightlife would be an evening to remember. We had met Jenny and the Dutch boys last night who shared our hostel dorm and we thought them a right laugh. So naturally, we enjoyed a drink fuelled night in the hostel bar, playing card games and pulling pranks on each other. It was a wonder Mark and I managed to get up the next morning to go to Plitvice Lakes early in the morning. 2) ‘I know this amazing restaurant where there’s absolutely delicious food, wanna join me for cheap food after the in Salutation?’ they’ll be grabbing their coat at this point. 3) ‘Just to let you know, that I’m going to this secret bar/club on the city walls that’s got world famous DJs and musicians playing. I don’t suppose you wanna go to that as well?’ they’ll be furiously nodding and holding on to your belt so you won’t leave them. 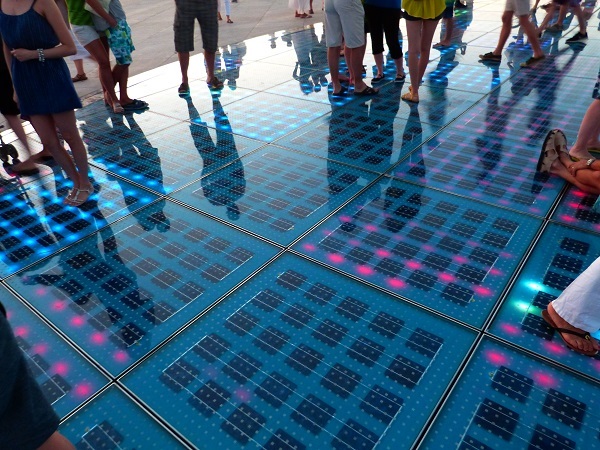 So after a quick shower, you better put on your glad rags and be ready to paint the Zadar nightlife red. The Sun Salutation is the clever foundation of a good night out whether you are partying with your friends, on a date or on your lonesome. 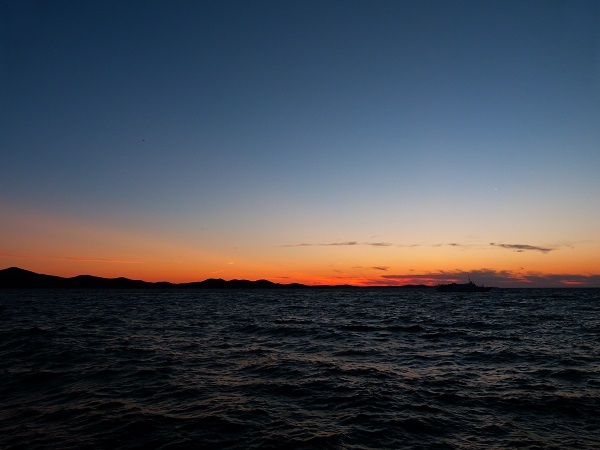 Arrive on the Old Harbour in the Old Town of Zadar just before the sun sets into the horizon out at sea – a magnificent display to rival Star Wars twin sun sets and the emotional music. Then circle the Sun Salutation and watch as it springs to life with a multitude of colourful lights emitting from the glass panes in the ground. Listen to people, locals and visitors alike, draw an excited breath. See their eyes widen with joy as the colours dance in them. It’s a wonderful way to get the night started. Sunsets, colours, excitement and possible romance, what could you ask for? In the old town of Zadar, you are truly spoilt for choice for food. With a wide variety of Italian (there’s gazillions), Turkish and Mediterranean food on offer, you must remember that the hidden restaurants are cheaper than the ones that line the main street and on the harbour. Luckily, we had a discount voucher from the hostel for a restaurant in town, so we promptly went there after getting lost quite a few times! 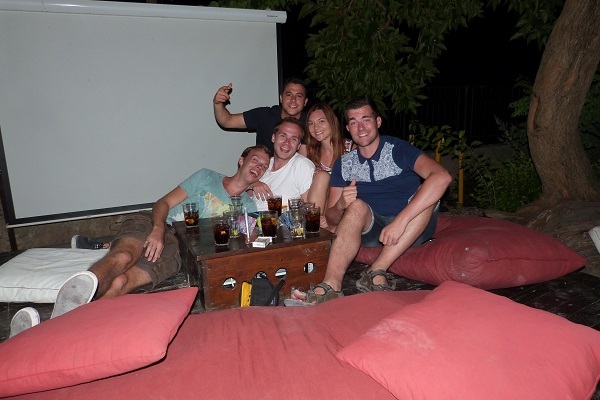 Here’s a top tip – go to Ledana Lounge and Bar on the old city walls of Zadar. You’re guaranteed to have a great time chilling, dancing and partying until dawn in this very high-class outdoor club that pumps out the latest Euro-music tunes. Be warned that the drinks are pretty pricey but after midnight, establishments everywhere will ramp up drink prices. Greeted by waiter service, we were whisked to our very own table with bean bags and cushions to relax on. 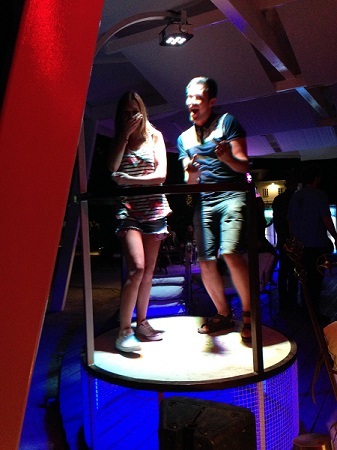 Projected music videos played on large white screens around us and we could order drinks from our table. If you’re feeling brave, you can even dance on their own podium where everyone can see you. Of course, I naturally had a go on it much to everyone’s amusement while I showcased my cage dancing skills (even an elephant could do better). As the night goes late, it’s best to move to the bar area where you can watch the musicians play their instruments In time with the DJ beats. Also, nationalities come together here and you can try your luck at using chat up lines on them. Our posse had a brilliant night, busting out our favourite dance moves and making friends with people from Germany, Hungary and Sweden. Soon enough, late at night (ahem 4am), we stumbled back to our hostel cursing ourselves that all of us had to leave early the next morning, both Mark and I would be heading to Split and Jenny and the Dutch boys would be going the opposite direction to Zagreb. 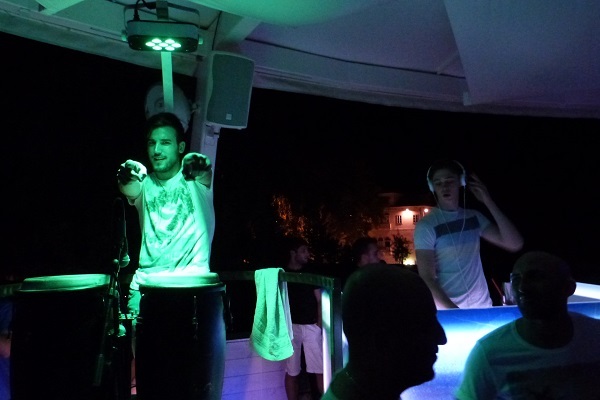 Have you sampled the nightlife in Zadar before? What was your favourite club? Tell me in the comments below.